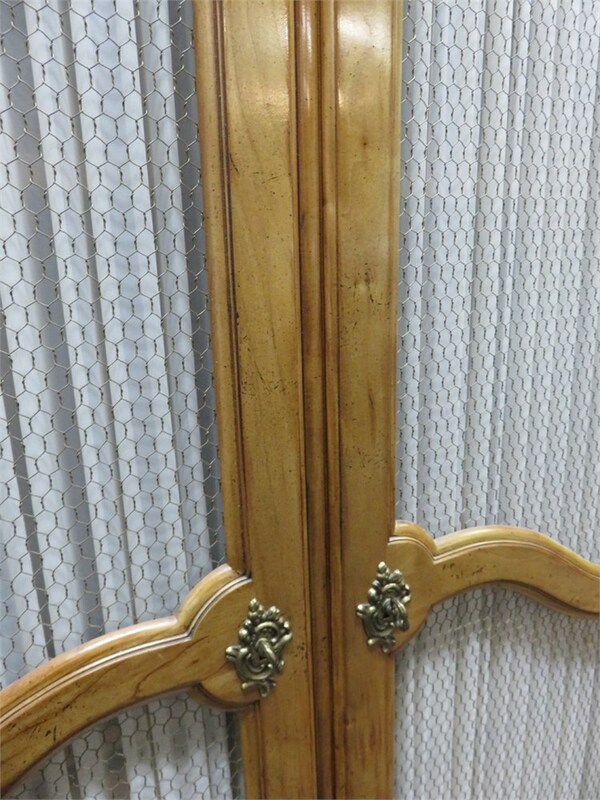 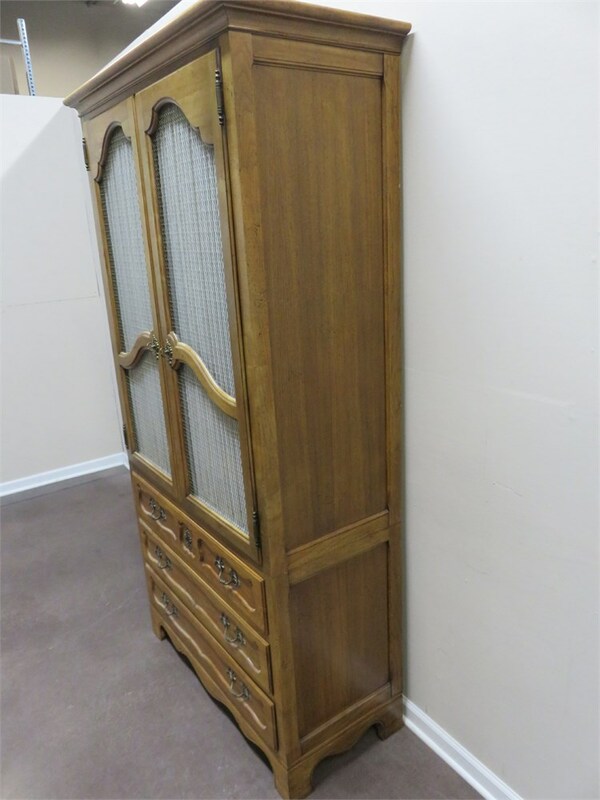 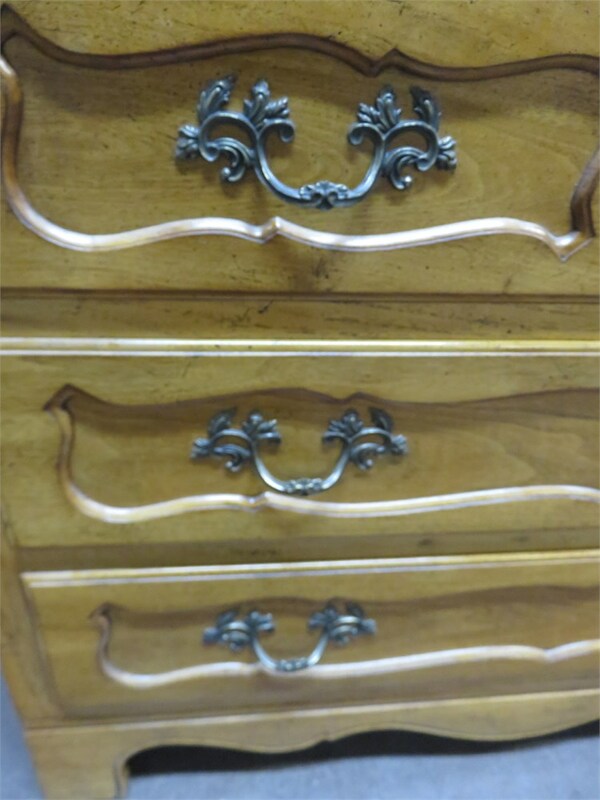 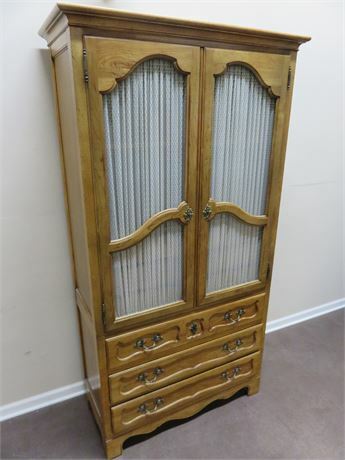 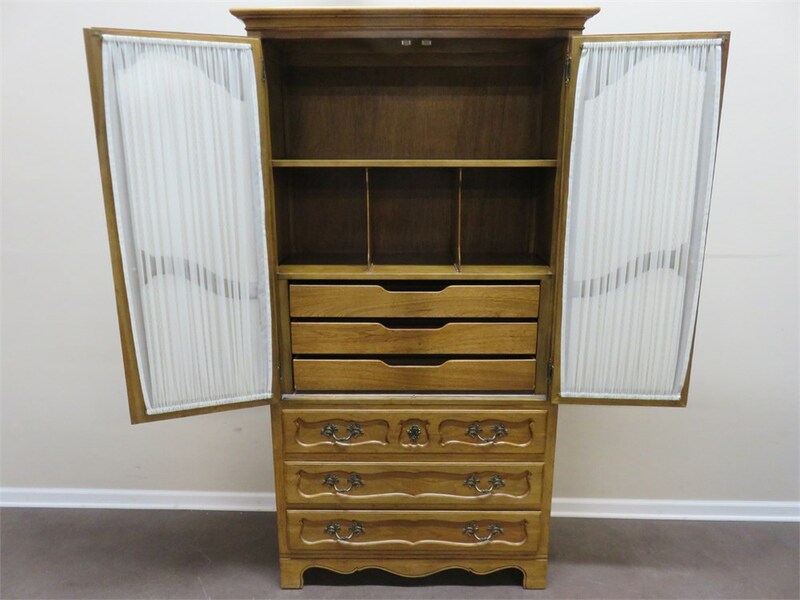 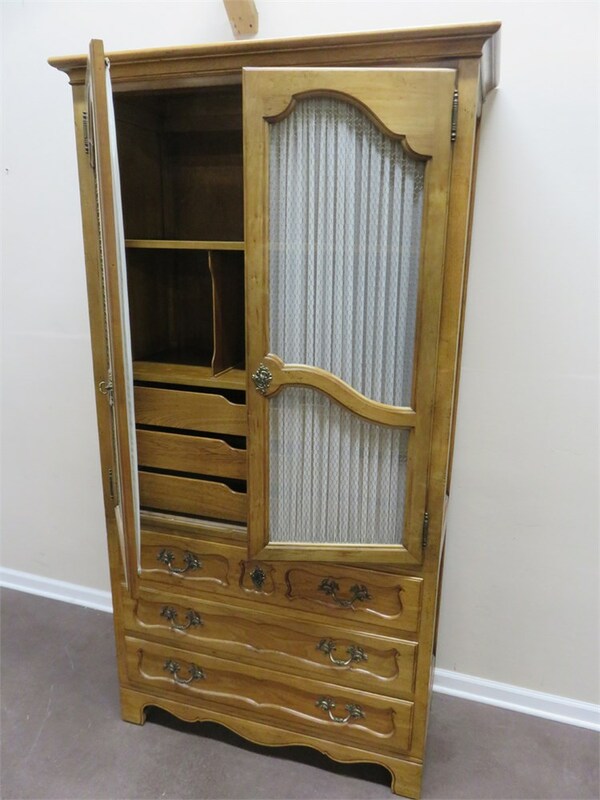 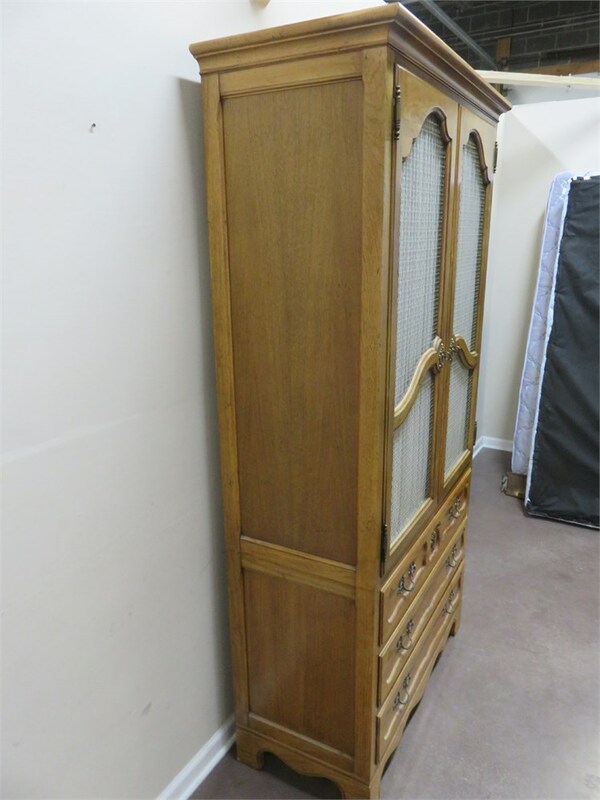 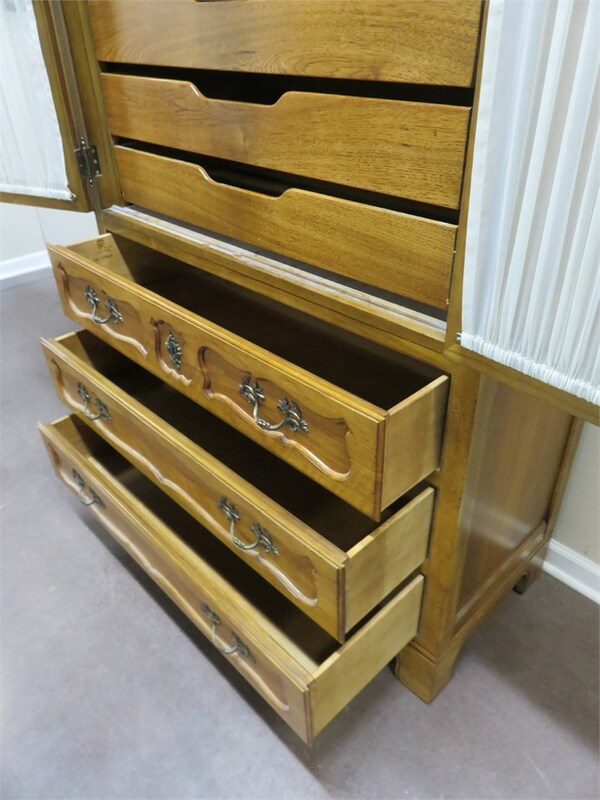 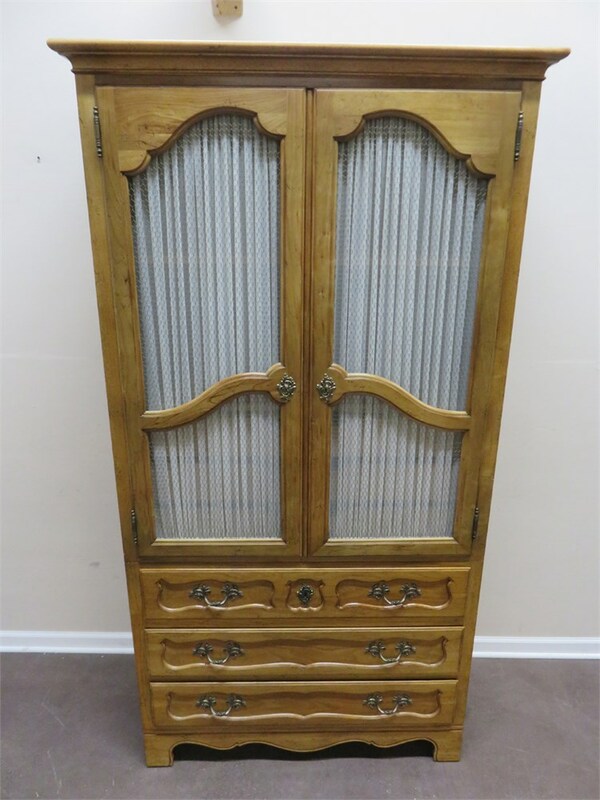 A gorgeous French Provincial wardrobe armoire from Milling Road Furniture Co. 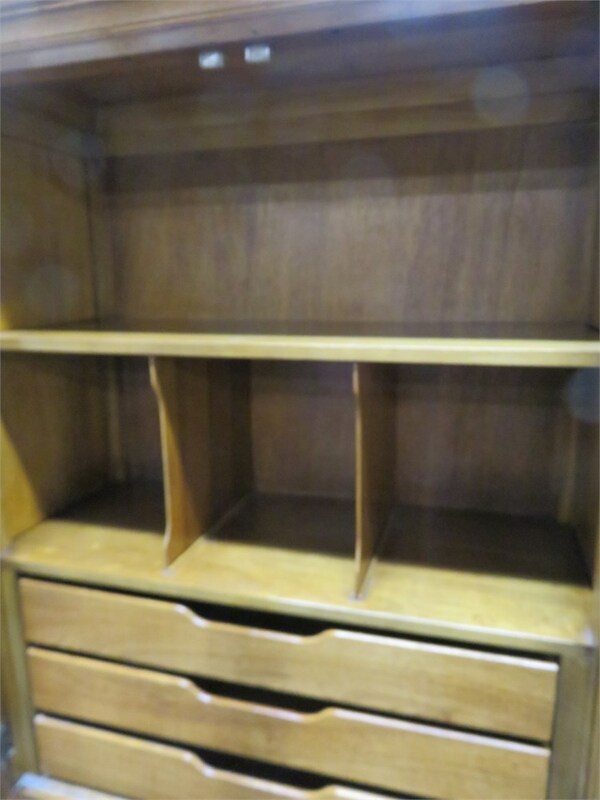 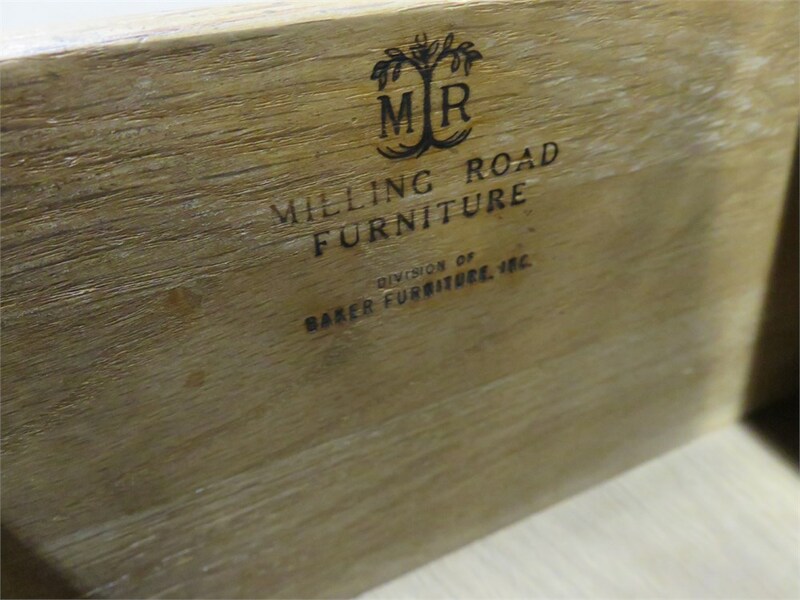 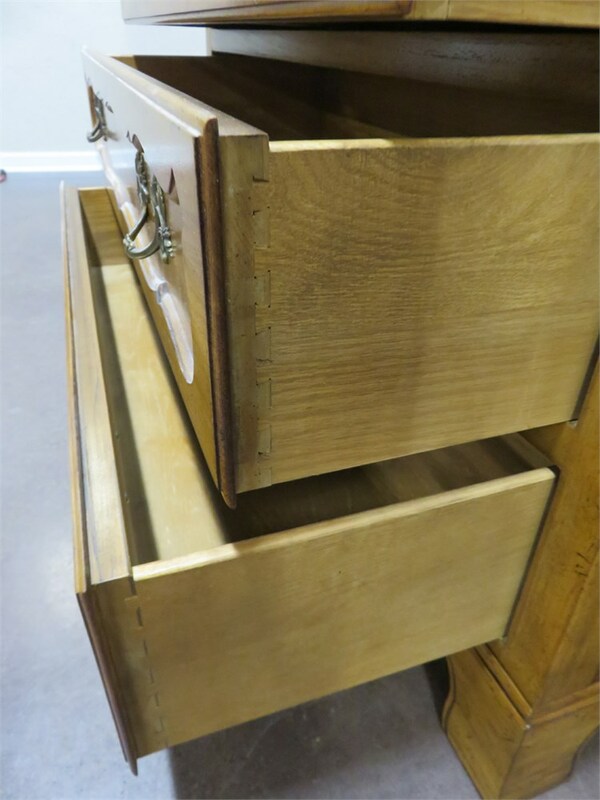 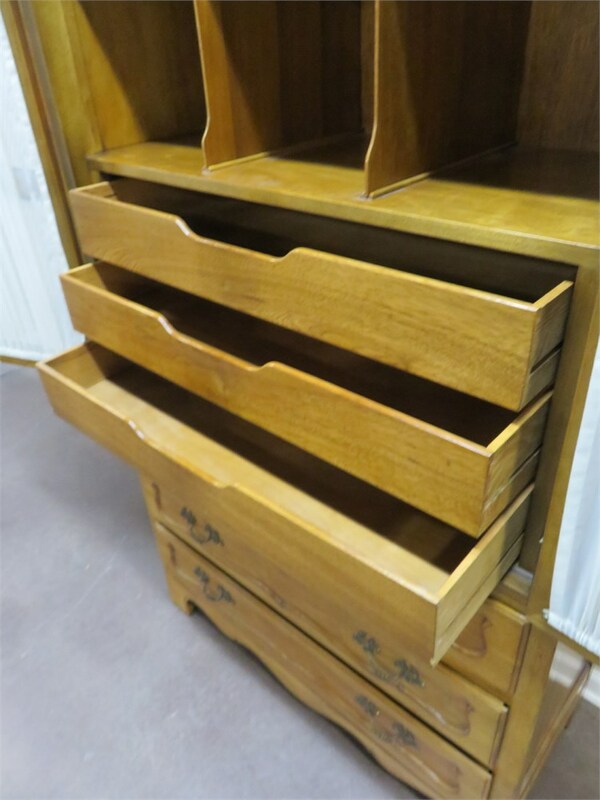 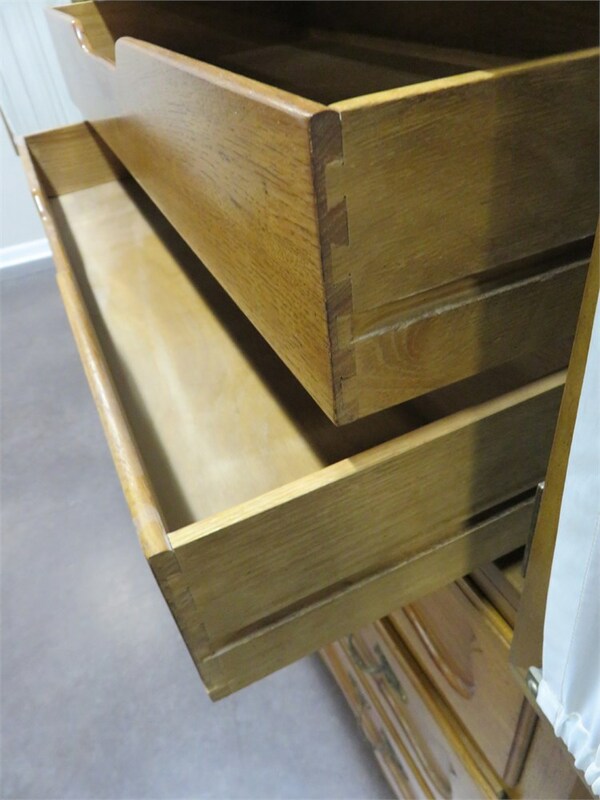 This fine piece features 3 lower dovetail drawers with recessed panel fronts. 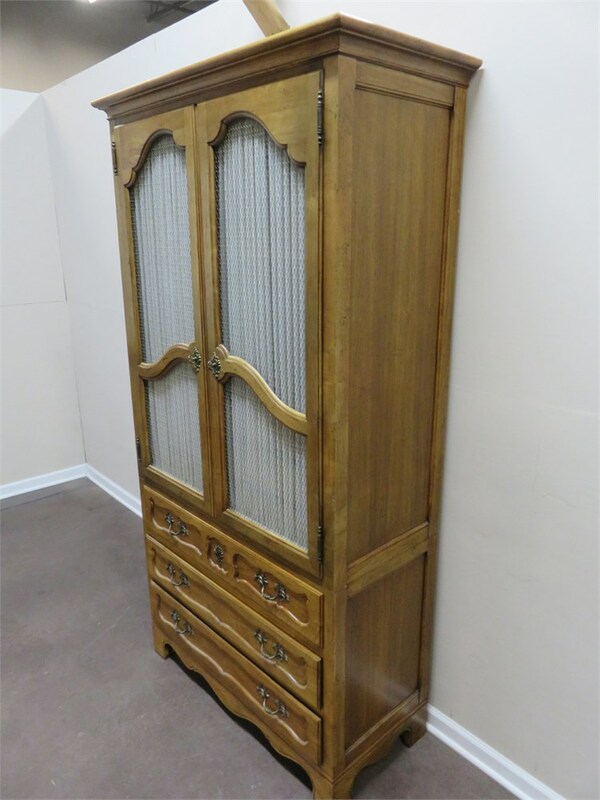 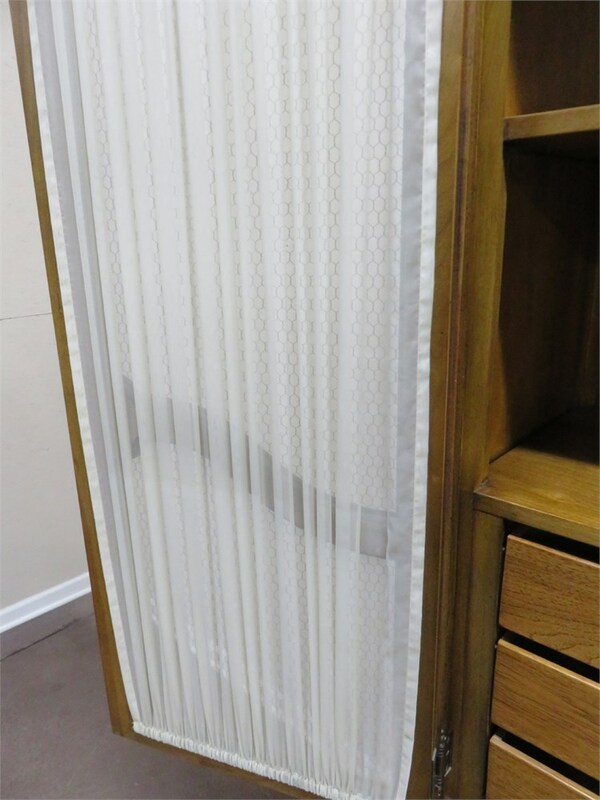 The upper portion has wire mesh door panels with delicate accent curtains and 3 additional drawers for plenty of storage.